When we were approached by Sam Ovens, a contender for RHS Young Designer of the Year, we were delighted to provide him with a complimentary order of mesh panels after he explained his innovative application. 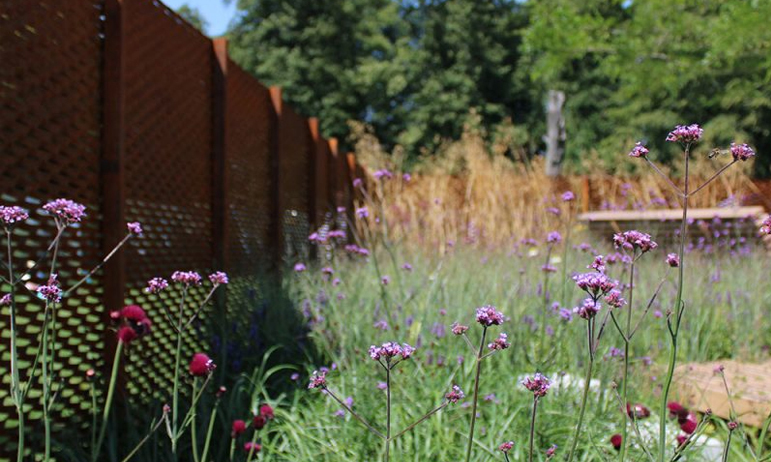 Sam had the idea of using expanded corten steel to compliment his vision of viewing the garden from different levels and angles, creating a number of exciting and unique views that often go unnoticed. Sam went on to win gold within the competition and has since continued his award winning career in landscape design and kind enough to donate the entire display to a hospice in Plymouth as a place for patients and relatives to relax.